We read this in Ian's Classic Book Club recently, and although I read it years ago, I was glad of the chance to go back and read it again. People's memories of it are so bound up in the movie versions that even I had forgotten that there are no villagers wielding torches, there is no fear of fire, and that the monster is articulate and well-spoken throughout most of the book. Okay, so the book itself is kind of amateurishly written: there's a lot of repetition of words like "enduced" (a word I've never seen before and had to look up), Frankenstein does an awful lot of moping about some of the most dramatic scenery in Europe, and some of it just reads like a thrown-together travelogue at times, but overall it's a gripping book filled with tension, heartache on both sides, and serious allegorical points about human expansion into uncharted physical and scientific territories. Shelley gives a clue to her intentions when she talks about the tears the family of cottagers weeps over the fate of the American natives, the attempts of the ship to push through the Northwest Passage, and the suspicions of the Irish people in dealing with the outlander who comes among them. It's very hard to read phrases like "I was working in the laboratory all night" and not start singing "Monster Mash" to yourself. Victor Frankenstein is a very stupid man. On his wedding night he's practically smacking himself on the head going "r-r-i-gh-t, now I get it". It's interesting that the actual creation of the monster, something that's gleefully indulged in several of the movies, sometimes involving grave robbing and murderers' brains and so forth, is completely glossed over in the book, apart from some vague hand-wavey stuff about galvanism. 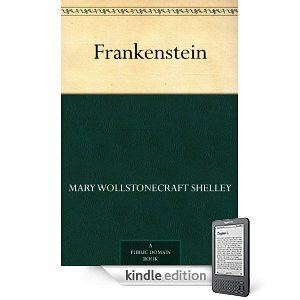 I did wonder how Frankenstein intended to put together a bride for his monster on Orkney, where he said himself only about three families lived. I never really realised how tense the book is. That monster just chases him around for years and years. BUT WHO IS THE REAL MONSTER?? That is all my thinking about Frankenstein. Next up in Ian's Classic Book Club, Northanger Abbey, which I have never read.